A 70-year-old Chinese man was admitted for left calf swelling after a fall. He had a previous history of ischaemic heart disease. He subsequently developed dyspnoea, which was worse on exercise. Bilateral crepitations of both lung bases were heard on auscultation. Q2. What other radiological patterns may occur? Q3. What are the common causes of this condition? Q4. Are radiographs useful during treatment of affected patients? Q5. Could pleural effusion give this radiological appearance? Q6. Could a pericardial effusion give this radiological appearance? 1. Grainger RG, Allison DJ, eds. Grainger and Allison's Diagnostic Radiology. A Textbook of Medical Imaging. New York: Churchill Livingstone, 1997. 2. Ferrucci JT, Taveras JM, eds. Radiology: Diagnosis, Imaging, Intervention. Philadelphia: JB Lippincott, 1989. 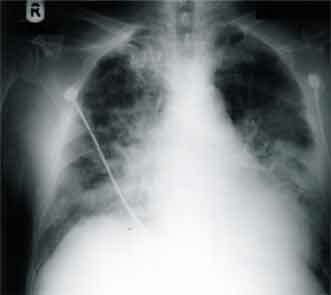 Figure 1: Anteroposterior radiograph of the chest shows prominent perihilar shadows producing a "batswing" appearance (arrows). There is upper lobe blood diversion. 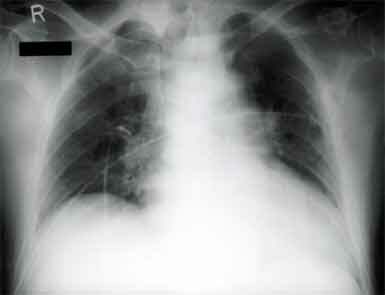 Figure 2: Post-treatment chest radiograph shows resolution of the pulmonary changes of acute pulmonary oedema.